Behold the marriage of art and science. 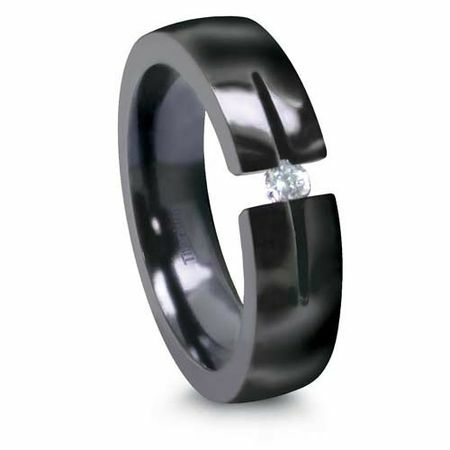 This breathtaking design incorporates a tension set round brilliant diamond in a black titanium ring. The illusion is that of a floating or suspended diamond. 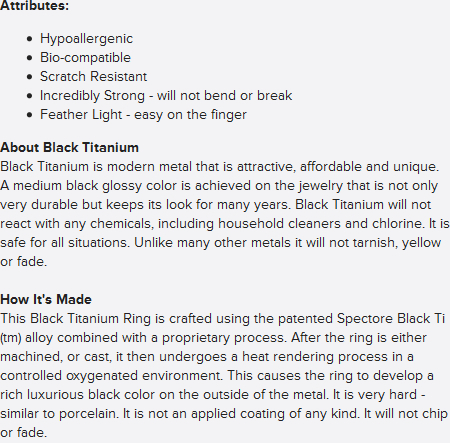 Choose from a .10ct, .16ct (pictured) or a .25ct diamond. Please allow about 3 weeks for production.